There’s something special about cruising. It’s a holiday which every type of can person enjoy. Young, old, straight, gay, married, single, thrifty people and those who like luxury experiences too. This hasn’t always been the case however as cruises have previously earned a reputation as being for ‘the overfed, newly wed and nearly dead’. When cruising first originated it was primarily only an option for the wealthy, and cruise lines such as Cunard who have been in operation for as long a 175 years were a popular leisure-time choice for golden-era celebrities and members of royalty who would embark on transatlantic voyages to New York whilst enjoying the signature White Star Service that Cunard provides. Today cruising is a vastly different story. Cruise lines have begun to look outside of the industry for inspiration when creating their latest ships in order to cater to wider audiences. It’s now not unusual to find Broadway-style shows, epic waterparks and celebrity chef restaurants on board. That’s just the beginning though, because cruise lines evaluate every market for their ships and ensure they have the perfect facilities on board to cater to them. Take for example Royal Caribbean which has developed a reputation as one of the best cruise lines for families. To strengthen their offering for families, Royal Caribbean have teamed with DreamWorks and popular movie characters like Shrek, Kung Fu Panda and the cast of Madagascar can often be found wandering the ships. Meanwhile P&O are a popular choice for British cruisers and one of their biggest draws is their cuisine. P&O have worked with a variety of celebrity chefs including Marco Pierre White, James Martin and Eric Lanlard to develop signature menus, speciality restaurants and cookery classes which have been led by the likes of Mary Berry. Just like you find with hotels, there are different cruise lines to suit all preferences, budgets and styles. High end adventurers will appreciate cruise lines like Silversea or Crystal Cruises, the latter being known for their Northwest Passage expedition and their Crystal Espirit ship which features its own submarine – a cruise industry first. Those who like to be among new cultures will enjoy a cruise with Costa or MSC who attract a diverse European audience whilst those seeking fun will revel in a cruise with Carnival and families and couples who want a little of everything will feel right at home with Norwegian cruise line. As cruise lines diversify, naturally they are attracting new customers and it’s great to see such a range of people all enjoying cruise holidays. Recently a news article for transgender cruises was released, making major headway for the travel industry and wider acceptance of the transgender community. The most important factor of a holiday is to ensure that those who experience it are completely at ease, and by developing a transgender cruise it’s a great way to introduce people to the holiday format with like-minded people that they feel at ease with. 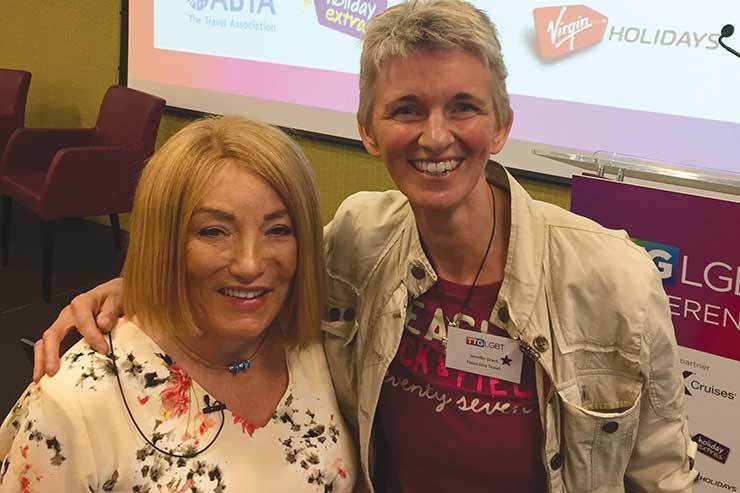 Here at Cruise Nation our Managing Director and Commercial Director recently attended a LGBT travel conference which provided insight into the needs of LGBT travellers. We want to ensure that we’re offering holiday packages to anyone who might be interested and that we’re adding value to our holidays in a way that is most useful to each of our customers. This might be through arranging events on board, providing unique excursions or hotel stays pre and post cruise which are in a preferred location for that particular client. Travellers with a disability will also find themselves catered to at sea. Newer cruise ships in particular have purpose built staterooms designed for wheelchair users. These staterooms feature wider door frames, roll in showers and handle supports to assist passengers with getting in and out of their wheelchair. With trained doctors on board and medical facilities, there’s also extra peace of mind for those travelling with volatile conditions that may flare up or require medical attention. There’s also the draw of being able to explore numerous destinations without the hassle of navigating airports each and every time. As cruise holidays have become more specialised, cruise charters have gained huge popularity and today you’ll find even the most unique niches catered to. There’s zombie themed cruises for fans of hit TV show ‘The Walking Dead’ and festival cruises for those that love music. What may come as the biggest surprise to many is that cruisers for swingers has become an incredibly popular charter option, so popular in fact that major publications have featured articles about it. It will surprise most you reading this to know that there are less cruise ship berths in total around the world, than there are hotel beds in Las Vegas. This makes the cruise travel industry as a whole seem comparatively small, however it makes up for that in diversity by the boat load. If you’re interested in finding a cruise which is right for you, then visit our website or call us on 0800408 0757.